We hear a lot of "mental" and "ill" tracks here, but the recent Magical Bass releases have led us to worrying a bit about the psychological well-being of the artists. From DJ 0.000001's 19-minute long remix of Freebird to Th' Mole's On The Couch podcast (documenting an actual meeting with a psychiatrist), to this latest release, a troubled albeit entertaining picture is being pieced together. 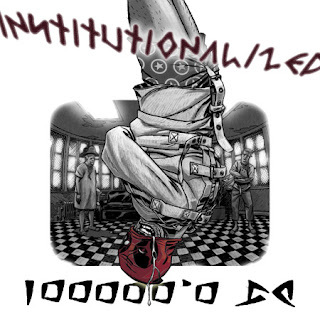 The free maxi-single for DJ 0.000001's cover of the classic Suicidal Tendencies track "Institutionalized" seems to be in response to recent accusations of mental instability within the Magical Bass camp, and it makes a powerful statement. 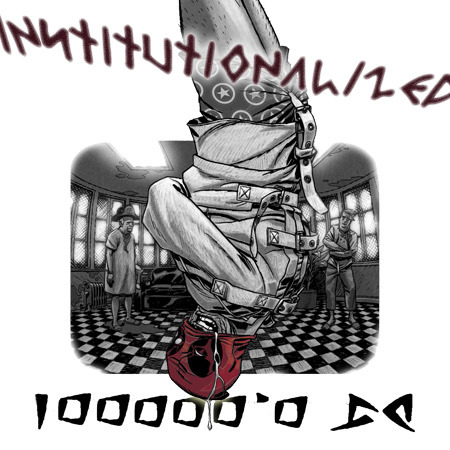 DJ 0.000001's breathtakingly honest vocal delivery adds new depth to the brilliant lyrics, while the driving and catchy instrumental keeps you locked in from start to finish, making for a completely different and arguably harder-hitting song than the original itself. The 7-track single also includes another exclusive track, featuring sampled Saul Williams vocals, as well as several stellar remixes by DJ 0.000001 and GDS (AKA Goddamn Sam of Vankmen).